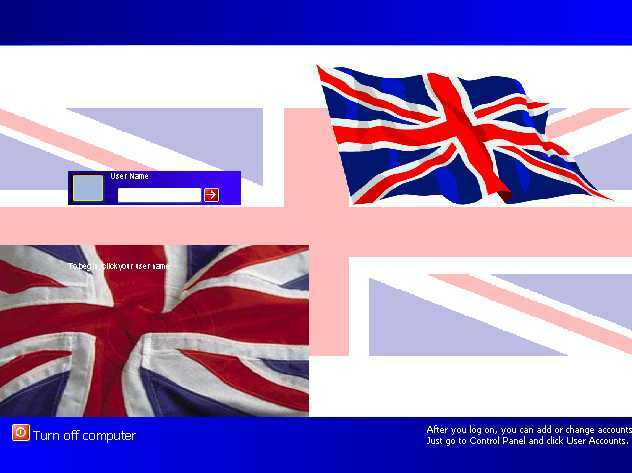 Union Jack for our friends and allies across the pond. comments welcome. Good show, Cutie Honey, even got it the right way up. Or should that be *cool* Britannia ? Union Flag? Where is it called that? America I'm guessing. It's a UNION JACK damnit! any chance of a scots version plz for those of us north of the border. Wow, my first request. I'll see what I can do. Thanx to everyone who downloaded this skin and Thanx to all those of you who will download it. I also have a Union Jack bootskin. Any chance of the GEORGE CROSS?? You were correct the first time: it's name is 'Union Jack'....only non-Brits would call it the 'Union Flag'. After seeing all the Anti-US sentiment over some US Armed Forces and US-Themed skins that were called "provocative" by idiots, I'm glad to see we still have friends and that we can recognize them. Cutey Honey, nice job.